On the corner of Birmingham Road and Duke Street stands Sutton Coldfield Cottage Hospital. 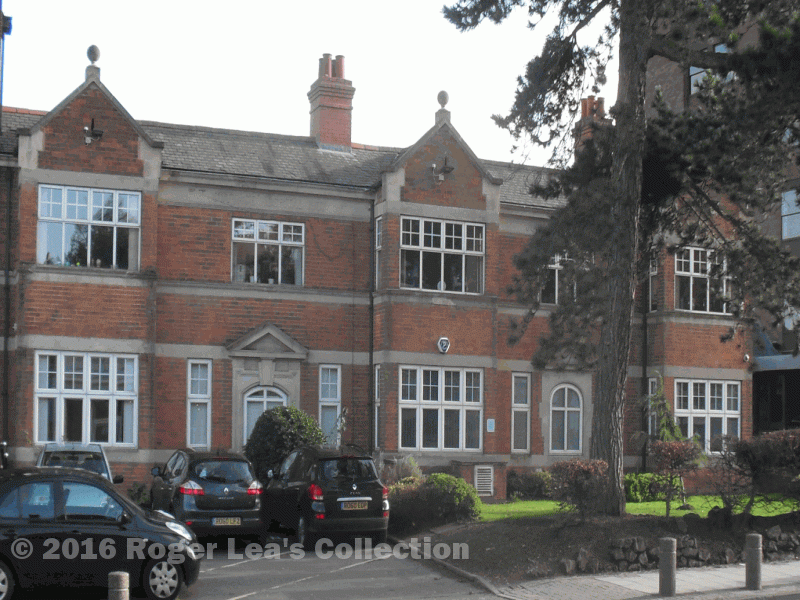 It was opened on the seventh of July 1908 by Dr. Alfred Evans (later knighted for services to Sutton Coldfield) who said “some ten or eleven years ago when the adjoining building, the Nurses Home, was opened, I ventured to hope that it would grow into a hospital”. The cottage hospital was built with a grant of £2,500 from Lt. Col. J.H.Wilkinson of Ashfurlong Hall. In 1900, when cycling was very popular, there had been one or two accidents on the steep hill of Tamworth Road near Ashfurlong, and Wilkinson had called Dr. Evans to attend to the casualties; when Dr. Evans and Mrs Caddick (superintendent of the nurses home) set up a committee to campaign for a hospital, Wilkinson was already a supporter. Councillor Randle, Mayor of Sutton, also spoke at the opening - “Accidents would happen” he said, “and hitherto the poor unfortunate victims had had to be taken to Birmingham at great pain and inconvenience.” The architects of the hospital, Buckland and Farmer, presented Colonel Wilkinson with a handsome key of carved steel inlaid with gold. He unlocked the door with it and led the guests in to see the new hospital. On the ground floor were the two wards each with four beds, while apartments for nurses occupied the upper floor; on the Duke Street side there was a mortuary. The new hospital was declared to be compact, convenient, comfortable and handsome, and the party adjourned to a tent erected in a nearby field where 200 guests sat down to tea at the invitation of Colonel and Mrs. Wilkinson. The newspaper report concludes with a note of the Colonel’s memorial plaque in the entrance hall with the words “In memory of his beloved mother Mrs. E.E.Wilkinson of Handsworth”. By coincidence, on the same page of the newspaper there is a report of an accident. A schoolboy aged 13 from Farm Street, Birmingham, lost control of his bicycle coming down Mill Street and crashed onto the Parade, breaking his thigh. He was carried to Dr. Jerome’s surgery on Lower Parade for treatment and “later in the day the Aston Horse Ambulance came and carried him to the Birmingham General Hospital.” Perhaps the ambulance was called by telephone - the first Sutton exchange opened in 1901. 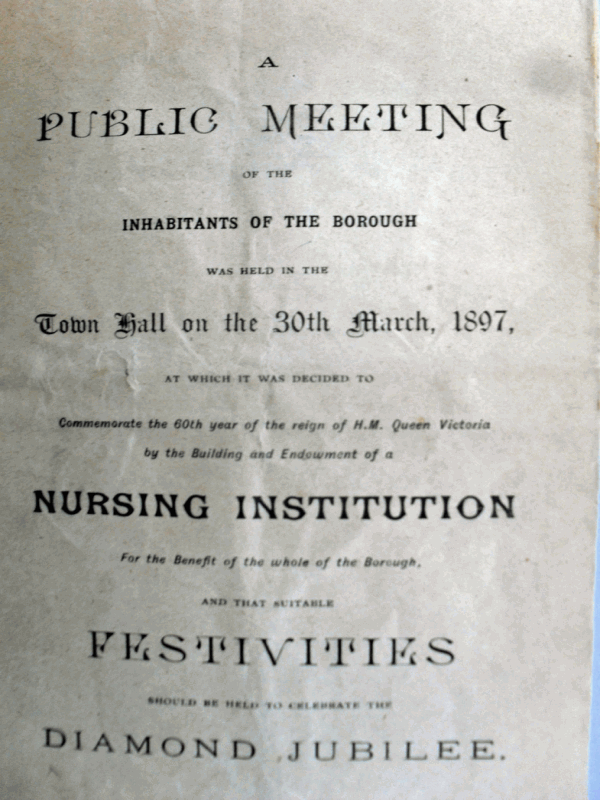 The decision to build and endow the nurses home was made at a public meeting.